If you live in San Luis Obispo, CA area, there are no local Prometric or Pearson Vue test centers. Cuesta College used to run one, but there was some sort of political hoopla over it and they decided to close it. Your choices now are all like 100+ miles away. By far the nicest test center I’ve been to. Professional staff, quiet rooms, good test computers, big monitors. Free bagels and coffee. My second favorite center. My wife works near here, so on test days I stop by and we go to lunch. The test center is decent, quiet rooms, good staff, good test computers. I had business in the Bay area, so I went here a couple of times for convenience. It was a bit shabby, old fuzzy CRT monitors on the test computers. The staff was nice. 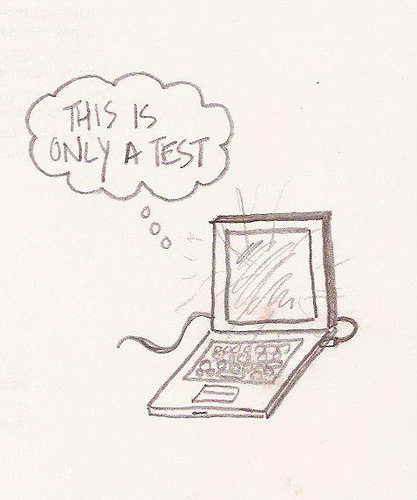 I was at class in LA, but I wanted to knock a test out in the late afternoon after class. It was very small, and a bit cramped, but the staff was very accommodating. 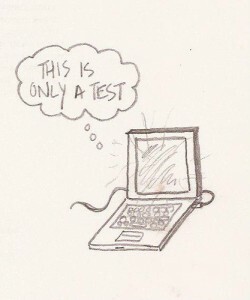 In some cases, for simpler tests, I have taken multiple tests in one day. (I’m using CompTIA E2C vouchers.) I tried to register at Vue for both tests in one shopping cart transaction. It turns out that one Vue shopping cart will only take one voucher. I, of course wanted to use 2 vouchers, so that wasn’t cool. So I scheduled the first test for the first available appointment (0900), checked out, used the voucher, and completed the purchase. I then went back and scheduled the second test. I experimented with how close I could put the second one to the first. The Vue system knows how long the exam is, and blocks out that much time, so you can’t schedule one at 0900 and another at 0930 for example. So I wound up making the second one at 1100, so I had tests at 0900 and 1100. On test day I showed up a bit early, like 0845. You have to do the usual rigamarole of showing 2 ID’s (I use driver’s license and Visa card), signing in, verifying your pockets are empty, etc. I started the test at about 0855. From the proctor’s point of view, the tests are separate transactions, so you have to finish the test, exit the test room, and sign out. Then the proctor will start the new paperwork for the new test, you sign in again, show ID, show your pockets are still empty, etc. The second test was pretty straightforward as well, just like the book and practice exams. I was done in like 30 minutes. I think I was done with both by 1015. Yes. I think Vue policy is that you can take a break in the middle of the test. I think your time continues to run (doesn’t stop the clock). I think the proctor has to note the time out/time back in on the log. You can certainly tell them in between tests that you need a break. I did. I said “I need to stretch my legs, I’ll be back in a few minutes” after I took the first test (and before I signed in for the second). I then went out and walked around the block.